A government spokesman says Iraq has exported the first shipment of natural gas condensate in its history, a key development for the OPEC member struggling to feed a cash-strapped economy amid an expensive fight against the Islamic State group. Oil Ministry spokesman Assem Jihad says a gas carrier sailed Sunday from the southern port of Umm Qasr with a cargo of about 10,000 standard cubic feet of gas in the form of condensates. Jihad wouldn't reveal how much the cargo is worth or the buyer. 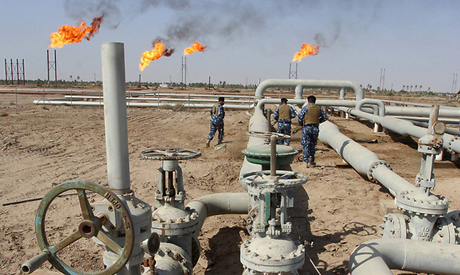 The gas was produced by the Basra Gas Company, a joint venture between Iraq's state-run South Gas Company, Royal Dutch Shell and Japan's Mitsubishi Corp.
Iraq has estimated natural gas reserves of 112 trillion cubic meters.